So last week I went and got my Learners for my Class R-E License. 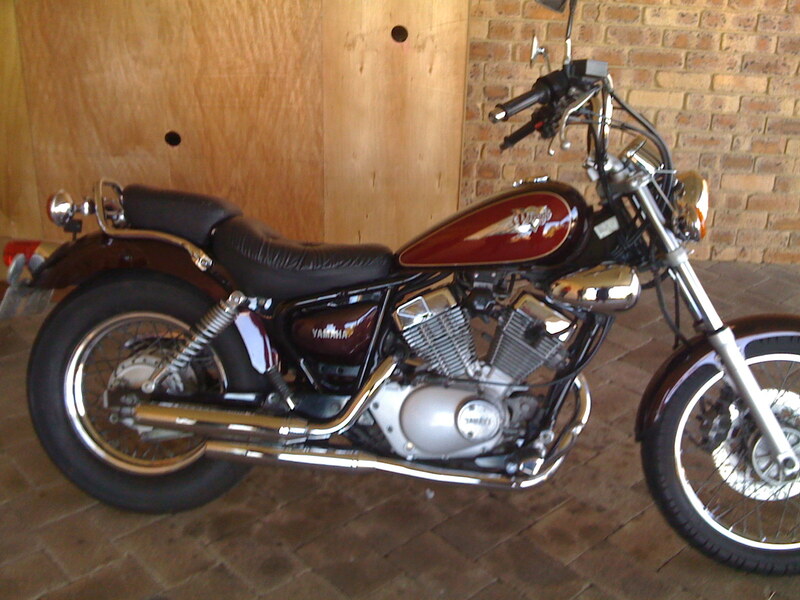 Then on Monday I bought a Yamaha Virago. It is a cruiser style bike. The one thing that is really annoying is having this bike sitting in the garage and not being able to ride it *ARGH* it’s just not fair dammit. Any way here is a picture of my new baby! Please excuse the quality as it was taken with my iphone.